At the end of April 1849 Macdonald was released to the American sloop of war Preble, which was visiting Nagasaki to pick up American sailors who had deserted from the whaler Lagoda. 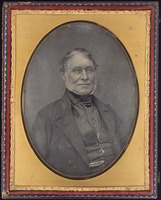 He travelled widely in Asia, Australia, and Europe before returning, shortly after his father’s death in 1853, to his family, then living in St Andrews (Saint-André-Est), Lower Canada. He remained there for about five years, during which time he became a freemason. 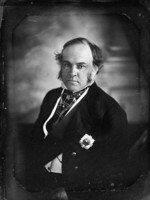 In 1858 Ranald and his half-brother Allan returned to the Pacific coast, to the new colony of British Columbia. They set up a packing business between Port Douglas (Douglas), at the head of Little Harrison Lake and the Fraser River gold-mines, and ran a ferry across the Fraser at Lillooet. Their younger brother Benjamin later joined them. In 1861–62 Ranald Macdonald and Johnston George Hillbride Barnston, whose families were connected through marriage, set up the Bentinck Arm and Fraser River Road Company to service the new mines in the Cariboo district. The route for this road was a pack-trail, running from the site of present-day Bella Coola to the Fraser River near Fort Alexandria (Alexandria, B.C.). The enterprise was not completed, however, because of financial difficulties. In 1864 Macdonald and Barnston’s younger brother Alexander joined the Vancouver Island Exploring Expedition [see Robert Brown]. On this expedition, which crossed the largely unexplored interior of Vancouver Island four times, Macdonald participated in the discovery of vast stands of prime timber, the Sooke gold-fields, and a large coalfield on Browns River near Comox. The next year he led a government-sponsored expedition to explore for minerals in the Horsefly area of the Cariboo. Macdonald spent the following decade in the Cariboo district, exploring, and at his ranch on Hat Creek. He was also an employee of Barnard’s Express and Stage Line [see Francis Jones Barnard*] and later of Bonaparte House, the hotel run by Charles Augustus Semlin* and Philip Parke at Cache Creek. In 1875 he assisted his cousin Christina MacDonald in her trading operation at Kamloops. He finally retired to a log cabin close to the home of Christina’s brother Donald near Fort Colvile (near Colville, Wash.), where his own father had developed a large farm for the HBC during the 1830s. Japan, Ministry of Foreign Affairs Repository (Tokyo), Zoku Tsushin Zenran Ruishu (coil. of docs. from the time of the Tokugawa government), “Beikoku Hyomin no Geisen Nagasaki-ko ni Torai Ikken” (record of the visit to Nagasaki of the Preble, 1849) and “Kits Kaigan Hyochaku no Beikokujin Nagasaki Goso a Ikken, 1848–1849” (record of Ranald Macdonald and the Lagoda seamen). PABC, Add. mss 794, esp. Vancouver Island Exploring Expedition journals of Robert Brown and of Ranald Macdonald. [Robert Brown], Vancouver Island; exploration, 1864 (Victoria, ). “An interesting visitor,” Ottawa Daily Citizen, 1 Sept. 1888; repr. in Daily News-Advertiser (Vancouver), 15 Sept. 1888. Frederick Whymper, Travel and adventure in the territory of Alaska, formerly Russian America – now ceded to the United States – and in various other parts of the north Pacific (London, 1868). British Colonist (Victoria), 1858–60, continued as Daily British Colonist, 1860–64, and Daily Colonist, September 1894. Cariboo Sentinel (Barkerville, B.C. ), 12 June 1865. China Mail (Hong Kong), 1 May 1849. Morning Oregonian (Portland), 12 Feb. 1891. Spokesman-Review (Spokane), 31 Aug. 1894. DAB. 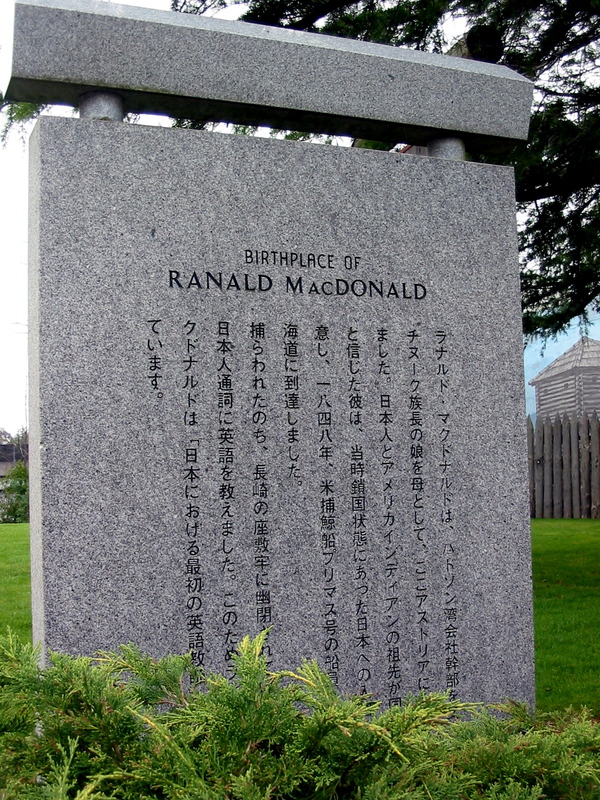 J. E. Ferris, “Ranald MacDonald, the sailor boy who visited Japan,” Pacific Northwest Quarterly (Seattle, Wash.), 48 (1957): 13–16; “Ranald MacDonald’s monument, Toroda Creek, state of Washington,” BCHQ, 15 (1951): 223–27. Province (Vancouver), 18 Nov. 1963. Shunzo Sakamaki, “Japan and the United States, 1790–1853,” Asiatic Soc. of Japan, Trans., 2nd ser., 18 (1939): 44–49. Vancouver Daily Province, 20 May 1928. David H. Wallace, “MACDONALD, RANALD,” in Dictionary of Canadian Biography, vol. 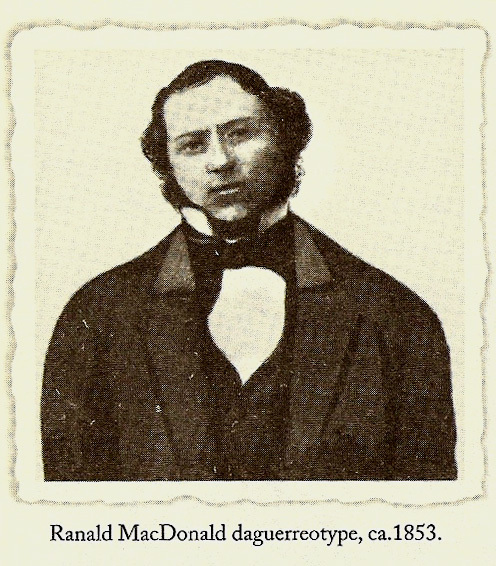 12, University of Toronto/Université Laval, 2003–, accessed April 26, 2019, http://www.biographi.ca/en/bio/macdonald_ranald_12E.html.